The Christmas countdown is on! Mariah Carey and Wham have begun to grace the office playlists, the Christmas Party is booked and we are all waiting to see who is the first to wear a Christmas jumper in the studio. But the work hasn’t stopped and we have one of the biggest and busiest Scrapbooks to date! This month’s edition showcases not one but two interactive features, some of our Christmas designs and a trip to Wimbledon. 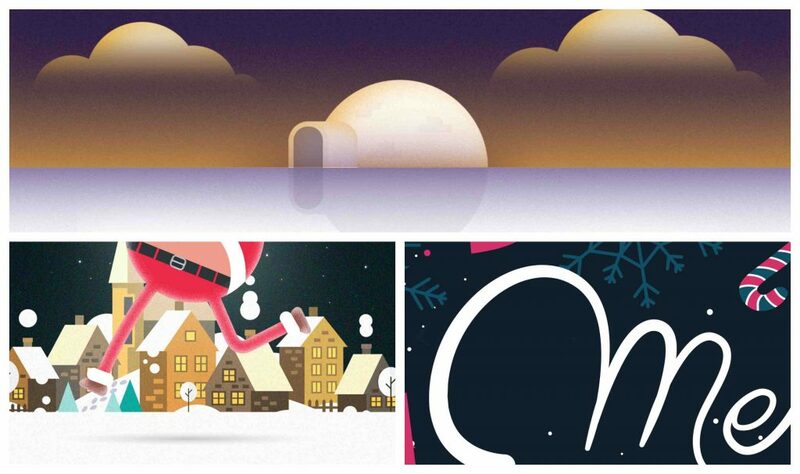 Aside from our own, we’ve also been working with our clients on their Christmas campaigns too. Luckily there’s no scrooges in our studio, so we’ve all loved getting involved in creating new concepts and exploring new techniques for future campaigns. Check out this little interactive calendar tester animation our designer Tom worked up for one of our clients. If you want to have a look at the full finished calendar then head over to The Collection’s website. We’ve recently welcomed some big clients into the Fanatic household, and with new clients there’s always new and exciting work, including one of our favourite things to work on – branding! 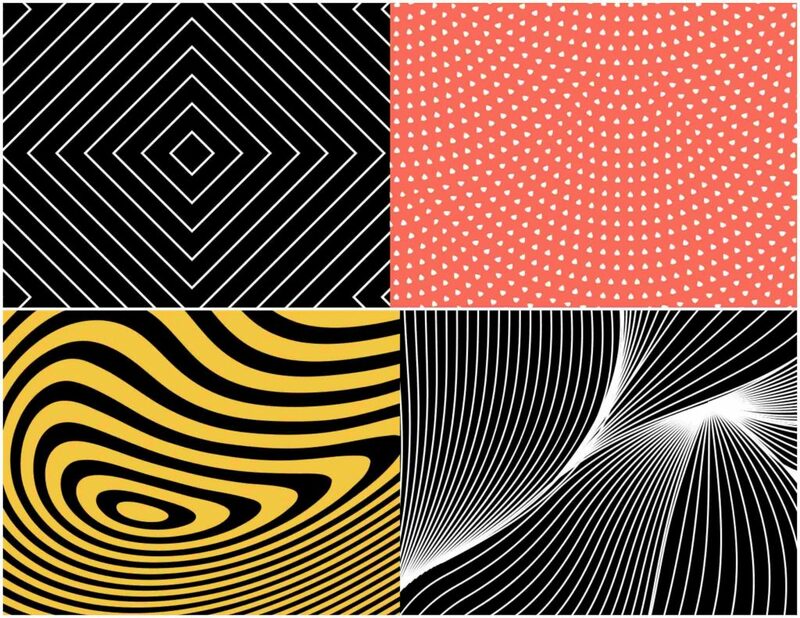 We can’t show you too much, but while you wait to see more, check out these abstract patterns and colours taken from some of the earlier concept stages of the rebrand. Becks from our Digital Marketing Team has been working on some fantastic new interactive content for one of our clients. It looks at conference event trends in 2019, in particular how events need to be creating truly unique and personalised experiences for attendees, balancing both the digital and human elements. Utilising a range of Fanatic’s departments (Design and Animation, Marketing and Web design) the team have launched an interactive conference guide for 2019. This is definitely one of the coolest guides I’ve ever seen! Ian and Rob were out in the Fanatic Fun Bus this month meeting a number of our London based clients. 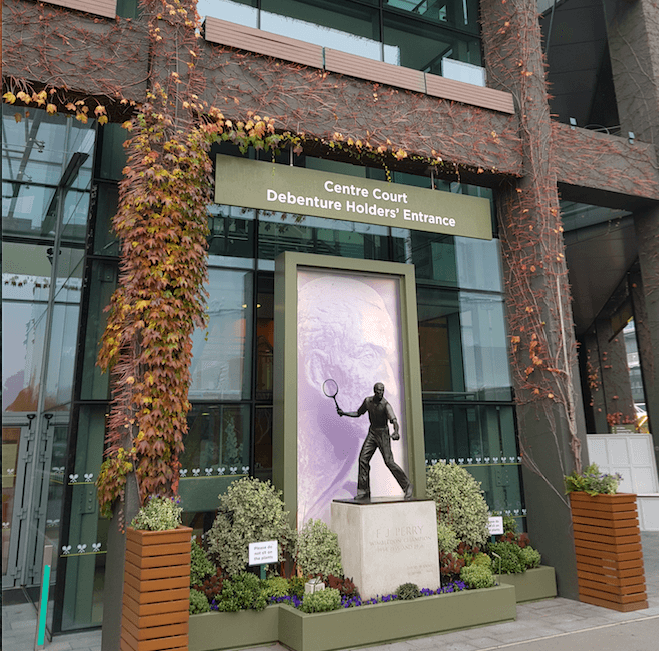 One of the highlights was the chance to explore Wimbledon and Centre Court during a meeting with the Wimbledon Hospitality Team.